Casey Jo Caswell of Lansing, Mich. made a terrible mistake. Homeless and jobless, she turned to Michigan’s child welfare agency for help raising her son, Ricky. But the agency offered no help with housing, no help with a job, and no help with education. They told her to surrender the child to “temporary” foster care, and then rushed to terminate her parental rights. it became his adoptive home. Once, during a counseling session, the Detroit News reported, the boy was playing with two plastic horses, when he said: “This little horse is going to die if he can’t be with his mother.” That proved prophetic. Ricky Holland’s white adoptive parents murdered him. They stuffed his body in a trash bag and left it by the side of a road. Yet Marie Cohen offers a similar horror story involving a Native American home (recycled from the far right Goldwater Institute ) as the only evidence in support of her claim in a column for the Chronicle of Social Change, that the Indian Child Welfare Act (ICWA) should be curbed – or maybe never should have been passed at all; she’s not clear about that. The Goldwater Institute has filed a class-action suit against ICWA. Cohen dismisses in a single sentence the horrors inflicted on Native American children that led to passage of ICWA. 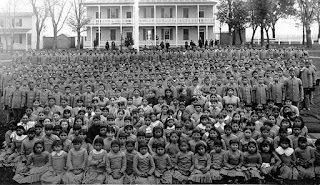 In fact, from the 19th Century through the 1960s, American child welfare agencies tried to effectively eradicate Indian culture and, indeed, Indian tribes, through the expedient of taking away children. First, they were warehoused in hideous orphanages. Later, there was a campaign of mass adoptions. Melissa Harris Perry called the orphanages an “explicit﻿ cultural extermination mission.” The Lakota People’s Law Project is calling for a Truth and Reconciliation Commission. 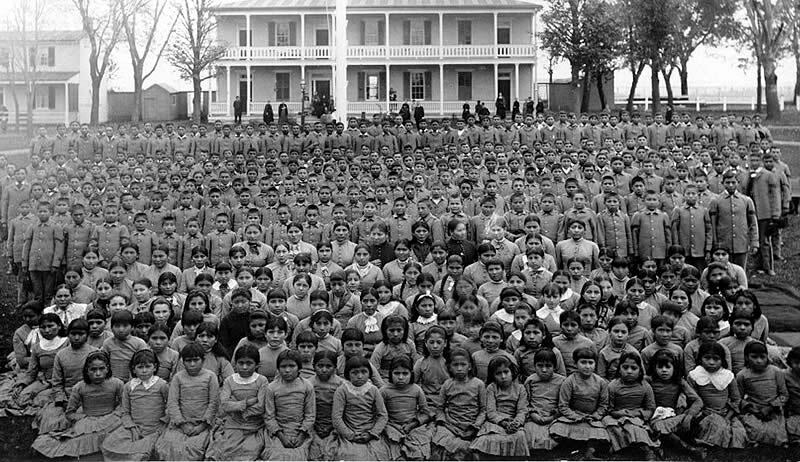 By the mid-20th Century people stopped actually saying “kill the Indian, save the child” but it took ICWA to change practice – though it hasn’t changed nearly enough. Opponents of ICWA respond exactly as the Supreme Court majority dealt with the Voting Rights Act: Well, yes, racism used to be a problem, but not anymore! First, if you curb a bad practice by passing a law and then you eviscerate the law, it’s not hard to figure out what will happen next – witness the wave of voter suppression laws that followed the Supreme Court voting rights decision. Second, contrary to what John Roberts and Marie Cohen seem to think, racism isn’t dead. In 2003, Dewey Sloan, chief juvenile prosecutor in an Iowa county where Native American children were in foster care at a rate seven times higher than the rate for white children told the Des Moines Register, "I don't think there's anything in any of these cases that points to something positive about Indian culture, except the culture of drugs and the culture of poverty and the culture of abuse." Or consider what happens to Native American children in South Dakota. That state tears apart families at a rate 80 percent above the national average. And while Native Americans are 15 percent of the population, they are more than half of all foster children. The horrors inflicted on Native American children by the state were documented in a heart-rending series by NPR – in 2011. NPR’s findings were confirmed by a federal judge last November. And, in another lawsuit, the federal government is charging the South Dakota Department of Social Services with discriminating against Native American job applicants. So yes, there’s a problem with ICWA alright – the problem is it’s not being enforced. And the right-wing propaganda about ICWA has been remarkably effective – even to the point of getting some on the left to help do their dirty work. In Santa Clarita, California, Rusty and Summer Page took in Lexi, a child who is part Native American, knowing at the outset that the plan was to return her to her own father or, if that wasn’t possible, to extended family. But when the child’s tribe moved to do just that, the Pages went to court. When they finally ran out of legal options, they created a media circus. Though it was the Pages who stalled and stalled the return of the child, that didn’t stop them from claiming in a petition -- on Change.org – that theirs was “the only family that she has ever known.” The claim was echoed in one news account after another. The claim is false. Lexi was in continual contact with her extended family – and they already had taken in Lexi’s sister. Almost every news account claims the child was sent to relatives, in the words of one story, “all because of her Native American heritage” and ICWA. But federal law also calls for giving preference to relatives, and keeping siblings together – precisely because both practices are best for children. Indeed, in a series of tweets, Nicole Cliffe, editor of The Toast explained the entire case better than most of the mainstream media. Cohen bemoans the fact that under ICWA, child welfare agencies are supposed to make “active efforts” to keep families together, theoretically a higher standard than the “reasonable efforts” required for non-Native children. But the reasonable efforts requirement was never enforced and was rendered effectively meaningless by ASFA. In Michigan, where Ricky Holland died in his adoptive home, 40 percent of judges surveyed admitted that they lie and certify that “reasonable efforts” were made to keep families together even when they don’t really believe it. And the fact that four separate studies since 1996 found that 30 percent of foster children could be home right now if the families simply had decent housing further illustrates that in practice “reasonable efforts” often means zero effort. So in real life, “active efforts” means ever-so- slightly more than zero. When it comes to the treatment of Native American children, that’s the real horror. Hey, look everybody! The magic orphanage is back!